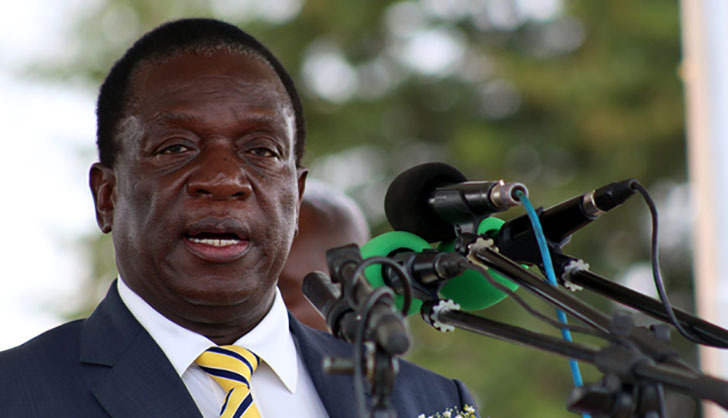 PRESIDENT Mnangagwa returns home today, cutting short his visit to the United Arab Emirates (UAE) to make sure he is directly involved with the national response to victims of Tropical Cyclone Idai disaster that has struck the country mainly in Manicaland, Mashonaland East and Masvingo. The cyclone has killed 70 people and destroyed infrastructure especially in the eastern and southern parts of the country and the President will provide leadership at one of the darkest moments of disaster. President Mnangagwa's visit was at the invitation of the Crown Prince and part of his vigorous re-engagement agenda aimed at establishing and maintaining mutually beneficial relations with other countries. Zimbabwe has endured close to two decades of international isolation and illegal Western sanctions which have harmed the economy. In an interview with our Harare Bureau yesterday after touring the Sheikh Zayed Grand Mosque and the Wahat Al Karawa Memorial centre in Abu Dhabi, President Mnangagwa said he was rushing back home ''to be with his people'' following the cyclone induced challenges. ''It is true that we have the Cyclone Idai that has come from the Mozambican channel. It has caused devastating damage both on human and property, on the Mozambican side extensively, and also affected the eastern and southern parts of Zimbabwe so I am rushing back home to be with my people as they go through this period of challenge,'' said President Mnangagwa. A list of immediate requirements for the victims of the cyclone was submitted to the UAE Red Crescent. These comprise food, shelter, medicines, sanitation and ablutions, power, logistics and lighting requirements and educational facilities. Requirements for medium to long term include earth moving equipment, road reconstruction, water rehabilitation, borehole drilling and power restoration. Zimbabwe also requires water treatment tablets for at least a million litres. Our Harare Bureau understands that the UAE Red Crescent is sending a team to Zimbabwe to carry out disaster assessment inventory requirement.